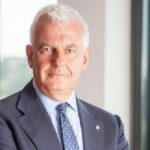 Alessandro Profumo is CEO of Leonardo since May 2017. He began his career at Banco Lariano, where he worked for ten years. In 1987, he joined McKinsey & Company where he was in charge of strategic and organisational projects for financial companies. In 1989, at Bain, Cuneo & Associati, he was in charge of developing relations with financial institutions. In 1991, he joined RAS where he was responsible, as General Manager, for the banking and parabanking sectors. In 1994, he joined Credito Italiano (today Unicredit), where in 1997, he was appointed CEO, a position that he maintained also with Unicredit Group till September 2010. In February 2012, he was nominated by the European Commissioner for Internal Market and Services member of the High Level Expert Group to reform the structure of the EU banking sector. From April 2012 to August 2015, he served as Chairman of Monte dei Paschi di Siena Bank. From September 2015 to May 2017, he was a Board Member and Chairman of Equita SIM.